Wuxi Aomeite, one of the top rubber molding Chinese companies, offers a range of grades for tubes and strips of silicone rubber from 50 to 80 shore hardness. For custom molded parts, we also offer hardness from 30 to 80 shore and can change colors to meet specific requirements. 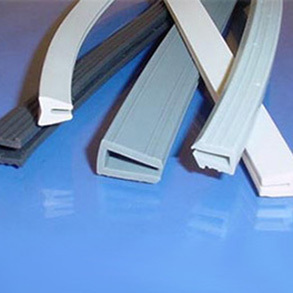 We also offer a special line of flame retardant rubber needed for certain industries. The strict standards of the architecture, rail, and public transport industries are no problem for this flame retardant silicone rubber. It is designed with specially developed and certified compounds that emit little smoke if any combustion takes place.